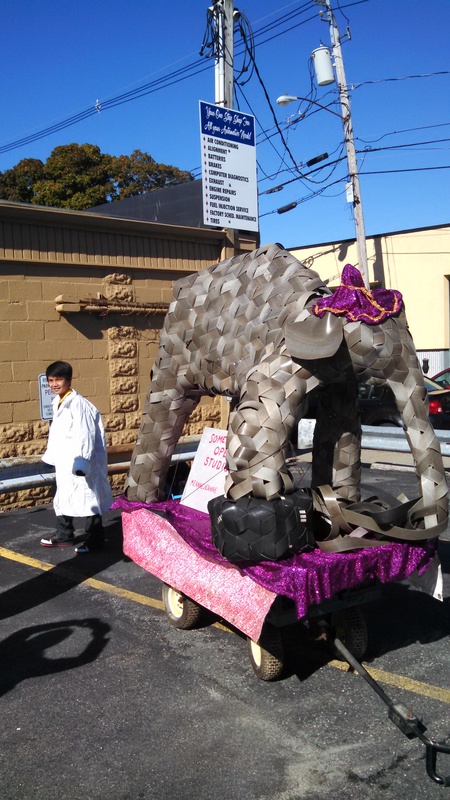 It was a beautiful day for a parade. 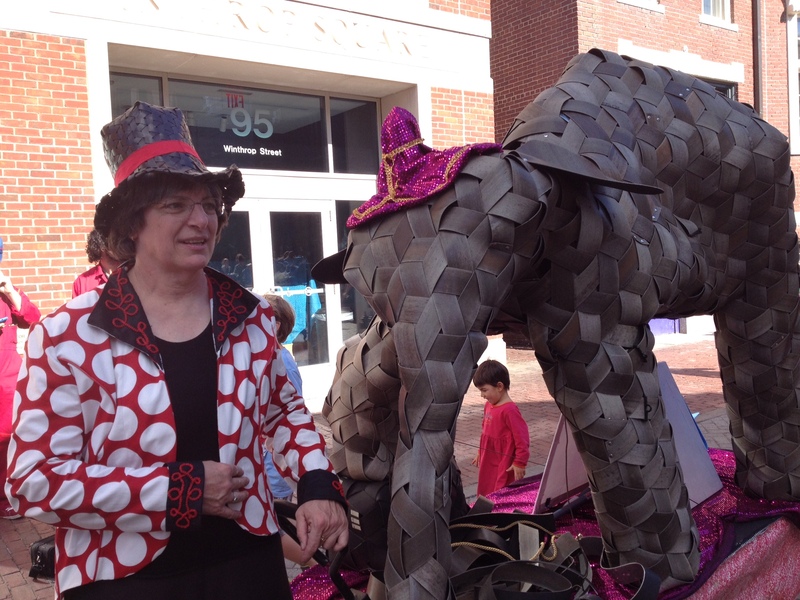 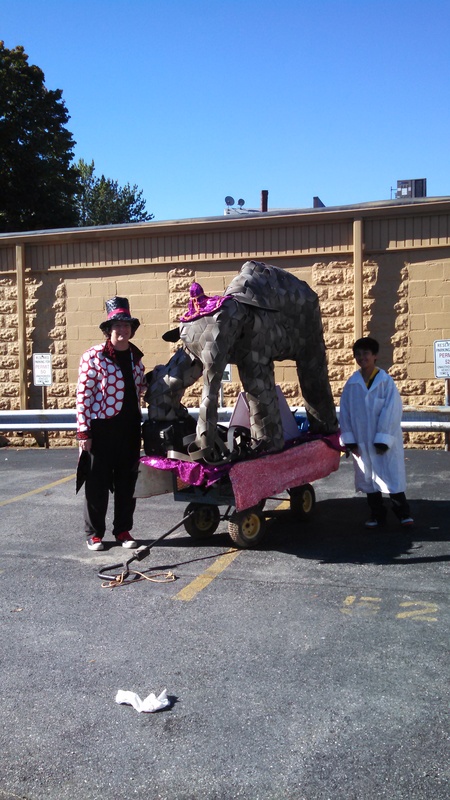 I made a coat and tails, dressed the elephant in parade headdress and asked Red to be the pooper scooper boy. 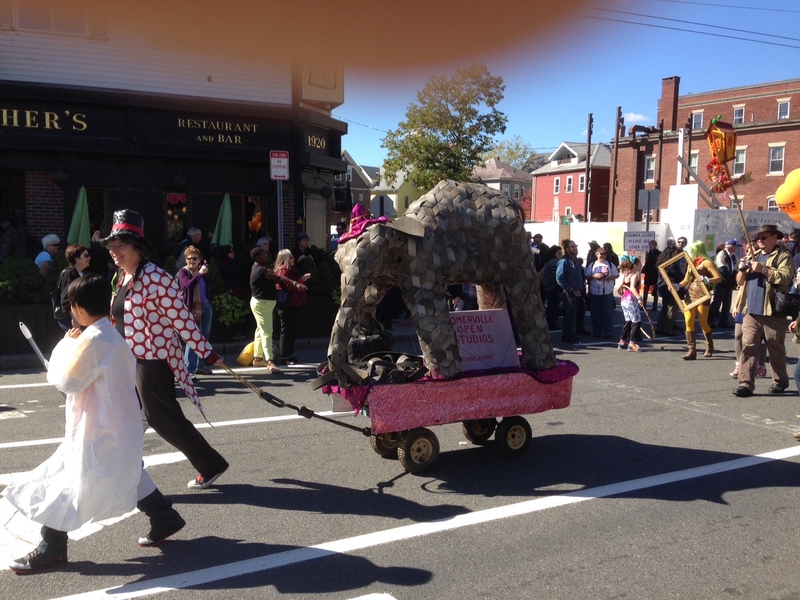 We marched down Mass Ave waving to all the party goers.